The African Struggle: A Look Back and a Look Forward | Between Sisters, SVP! ← To Get a Marriage License or Not to Get One? The African Struggle continues to be thought about around the world by Africans and African descendants. While I have religious and non-religious reasons why I think black heroes deserve the spotlight daily, at the grassroots level, and that attention on these unsung heroes should not be restricted to a specific month, I know that the real world can’t handle ‘Blackness’ on a daily basis. So, Black History Month will have to do. Every year, for a whole month, the struggles, the mourning, and the achievements of my African ancestors and legacy is recognized. So why isn’t that enough? Why can’t we all have closure? In my opinion, the underlying issue has not been resolved, so all parties involved are still not able to move on with their lives. They remember the shoulders on which they stand in hindsight as they fend off the world that tries to divide them. I’m a Love & Relationship Editor at a Magazine, and I have a knack for it, alhamdullilah. Relationship issues take many forms but overall, they have the same essence: underlying, unresolved wrongs committed. We are one nation, aren’t we? And we’re also a messed up, dysfunctional big family, as we were created from one man and one woman. Africans, Americans and Europeans, blacks and whites all come from Adam and Eve. Long before the white colonialists came, Africa was fine, but it had its disagreements and dealt with them in-house. But the Africans’ disadvantage was that they didn’t see the bigger picture or knew what would happen to these slaves at first when they agreed to sell their own blood out of Africa because of petty fights and disagreements in return for fake worldly gains. The colonialist is that member of that dysfunctional big family we are, who is smart and insecure but not creative enough like The African. With all that draining of African resources, they still won’t let the Africans own it. 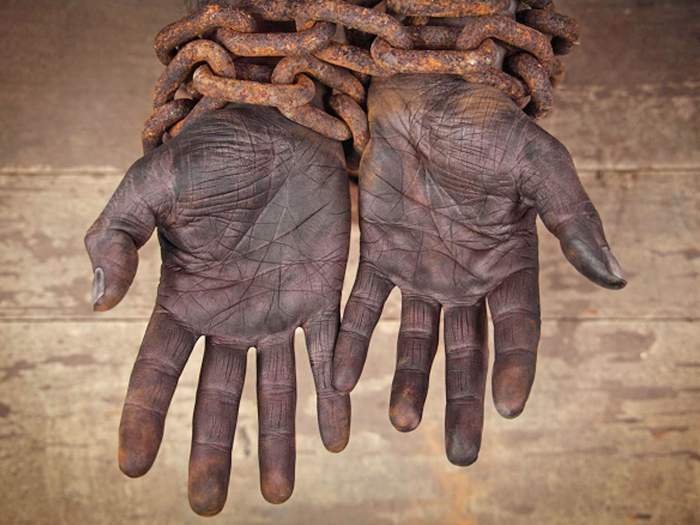 Most people have no idea that Africans willingly sold their brothers into slavery. Most are under the impression that white Europeans came and stole them from their land without paying anyone for them. But this is not completely true. When it comes to the African struggle, native-born Africans apologizing to all the displaced Africans around the world is NECESSARY. We have to assume the crimes of our forefathers if we want to build a strong relationship with our displaced African brothers and sisters. These displaced Afro-Caribbeans, African-Americans, etc. need this to have closure. It’s an important and essential step on the path to mending the relationship we have with them. Currently, Africans and their displaced brothers and sisters have a really bad relationship; that’s old news.We size each other up when we see one other because we bought into the hype that we are different from each other when in reality we are not! What the colonialist did in Africa was to change the mindset to make people believe that lighter-skinned Africans are superior to darker-skinned. Then, overseas, they did the opposite and planned to further divide Blacks by confusing these mixed-race children, making them feel that they don’t belong to any race. Additionally, they convinced darker-skinned Africans to gang up on these outcasts and half-castes. See the bigger picture? They planted discord everywhere between us. And shaytaan motivates them with greed and power. What can you do as a Native-born African (naturalized or not) to stop this vicious cycle that is not helping Blacks move forward? – Say, ‘This displaced Black person is my people’ when you see an African descendent anywhere. Don’t size him or her up. Accept and love that person that you don’t know upon seeing him or her. Simply change your attitude toward them. I have done that, and it does wonders, alhamdullilah. – Don’t buy into the hype that they are all lazy. Back in Africa, there are both lazy and ambitious Africans, too. The system purposely put them at a disadvantage because they know the power and creativity Africans naturally have. Allah gave us all privileges. For instance, white privilege, male privilege, financial privilege, creative privilege just to name a few. It’s what you do with those privileges that define you. Many Blacks have creativity skills, masha’Allah, and our family members and distant insecure cousins, the white colonialists and their legacy of white supremacists, know this. Don’t let them tell you otherwise. – Encourage the displaced Black person to take an ancestryDNA test to help him get a sense of belonging to resolve their identity quest. Everybody wants acceptance and belonging. One thing we don’t lose is blood. It’s the inherent chemistry of things. Nothing is lost, everything is conserved. At the end of the day, everybody wants to go home; the real home. Help them with their home going process. It’s your duty to help rehabilitate them. – Don’t stop or prevent them from wearing African garments or ethnic prints. You have no right to deny them their birthright and culture! They came from the motherland too! Also, respect their adopted culture. Africa is a continent with distinct cultures. They want their distinct culture too, and there is nothing wrong with that. – Let’s seek reparations in collaboration with the African Nations for the crimes committed against the displaced Africans. You are Africa and it’s part of your heritage. Subhanallah, a rush of sadness and betrayal should hit any Native-born African like it has hit me over the years just by thinking of what their forefathers must have gone through. Take a moment to think about it and don’t discount their valid pleas over-simplistically by saying, ‘Let it go, it was over 300 years ago.’ Yes, it was years ago, and it continues to impact their daily lives, and you just need to open your eyes to see it. I understand that many African immigrants usually feel detached from the slave trade because it’s not discussed in detail in African classrooms. The classroom curriculum just brushes over it with a few historical dates of abolition events and small illustrated reading of ‘Roots’. But it’s not an excuse. Do the right thing. May Allah help us make things right! Ameen. What can you do as African-American? – Stop denying that your roots go beyond the ship. – Don’t let yourself be bullied by ignorant Africans. School them if you have to so they may ponder on your wisdom later on and come to their senses. – Please forgive Africans and their forefathers for the crimes committed against you and your ancestors who are most likely their ancestors too. – Recognize that Native-born Africans love you, even if they don’t always show it. Displaced Blacks are always put on a pedestal in Africa. Alhamdullilah. – Please enlighten Native-born Africans and Millennials when they show ignorance about the way the system has purposely made sure your community stays in poverty while turning around and allowing privileges to immigrant Africans, as long as they don’t interfere with politics and social justice causes. These suggestions may seem overly-simplistic and are not an exhaustive list, but until we come together and show the white supremacists that we see their game to actively divide us and break apart our families so they can stay ahead of their game, we will always stay behind! A strong and united house is hard to infiltrate. Only success can be in store for Blacks if we come together as a unit. It will make an excellent Black History moment to look back on, bi’ithnillah. Originally written by Papatia Feauxzar and published at AboutIslam here. Bio: Papatia Feauxzar is an American author, barista, and publisher of West African descent living in Dallas, Texas with her son and husband. She holds a master’s degree in Accounting with a concentration in Personal Finance. After working as an accountant for a corporate firm for almost five years, Feauxzar decided to pursue Accounting from home while homeschooling her son. She is currently working toward obtaining her CPA license. Feauxzar then plans to obtain her PhD in Accounting. You can visit her websites at http://www.djarabikitabs.com or http://www.fofkys.com . This entry was posted in AboutIslam and tagged Africa, African Americans Activists, African Muslims, Afrocentric, Black History, Black History Month, NBA Muslims. Bookmark the permalink. Aameen! May Allay bless you too, ameen :).